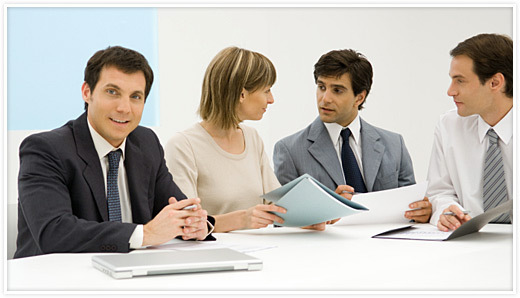 Fenix is managed by a small team, all with international banking and consultancy background. With early experiences being shaped within investment banking operations and technology groups, the team has worked together since 1999 managing consultancy services across Europe. All are founding directors and shareholders. Kevin is an industry practitioner with over 15 years experience with leading US and European Investment Banks, including Goldman Sachs, JP Morgan and ABN AMRO. His experience covers both senior line and project management roles. Kevin has used his extensive process and change management experience to implement complex programmes in areas such as legacy system retirement, process reengineering, risk assessment and global operations business strategy formulation and implementation. Kevin possesses robust analytical skills with a keen awareness of the practical business challenges facing the Securities Industry now and in the future. Since 1999, Kevin has been providing consultancy support in a wide variety of projects and international locations encompassing retail, Investment, Institutional and related support transaction services. Tony began his career working in IT projects at Salomon and then UBS. Moving to consultancy, he specialised in project management for investment banking operations in London, the US and Latin America. More recently, Tony has established a market leading financial services transaction processing business, as well as a successful IT consultancy practice. Tony provides business strategy and management oversight, as well as supporting senior consultants and key clients. Iris has been traditionally trained in the German Investment Banking Industry. She has more than 15 years experience, initially working for several years at the Frankfurt Stock Exchange then moving onto managing front, middle and back office departments and projects for BHF Bank and ABN AMRO. Her career always had a strong focus on International Client Relationship Management. Since 1999 Iris has focused on project management in Front Office and business migration projects in London, Frankfurt and Dusseldorf. The detailed process knowledge of the Investment business, together with the keen awareness of client needs and her ability to optimally manage resources, positions Iris to be an efficient driving force on projects regardless of complexity. David is an operations technician and project management specialist with a wide range of international experience, gained at JP Morgan in line, project and business development roles. Working within emerging markets, David has frequently demonstrated the ability to manage complex change in diverse environments. Most recently, he has provided consulting and project management services for a number of European banks and fund managers.